The reviewer obtained a copy of this book from the Southern Maine Library District's examination collection. 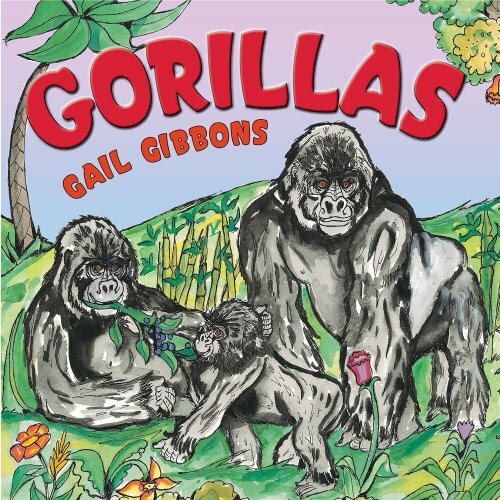 Gail Gibbons, the master of the nonfiction picture book, is back! This time her focus is gorillas. Using vivid watercolor illustrations and broad brush strokes, Gibbons provides readers with an in-depth look at the African primates. The book describes three different species of gorillas: Western Lowland, Eastern Lowland and Mountain. Gibbons' clear language and vocabulary make the book accessible to young readers without losing the richness of the content. "Adult gorillas are large animals that need to eat a lot of food. Males will eat as much as 40 pounds (18.1 kilograms) of food each day." "Gorillas rarely drink water because many of the plants they eat are juicy." The author includes a map so that young readers can visualize where the three species make their homes. 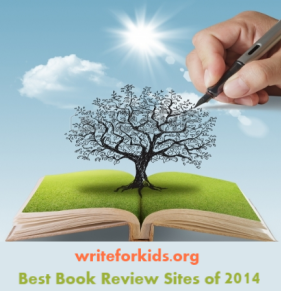 Additional facts and a list of related web sites are found on the last page. 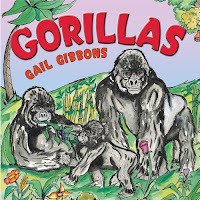 Gorillas is the perfect resource for beginning researchers in elementary school, but it will also appeal to children that love to learn about animals. Pair this book with Amazing Gorillas! by Sarah L. Thomson.